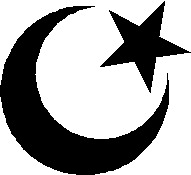 I had some college professors who were sympathetic to Islamic terrorists, but not any who were actual Islamic terrorists (as far as I know). Now, students at a Midwestern university have learned that their professor is an ISIS terrorist, and that the FBI let him continue teaching them for a year and a half. 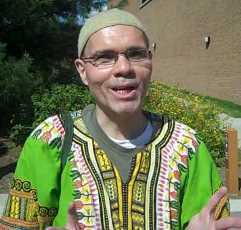 Yet another reason why college could be hazardous to your health and why you should be suspicious of profs who shout “Death to Israel!”: Julio Pino a/k/a Assad Jibril Pino, ISIS terrorist. 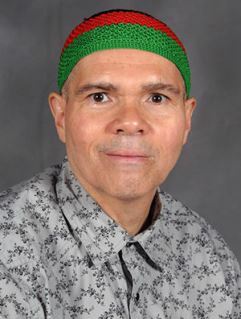 The FBI and the Department of Homeland Security are investigating Julio Pino, a Kent State associate history professor, for alleged involvement with the Islamic State, also known as ISIS or ISIL. A joint terrorism task force has been investigating Pino for the last year and a half, said an FBI special agent who did not wish to be named for safety reasons. “There is no direct threat to the university,” the agent said. Riiight. Your professor is working for a mass-murdering organization that beheads and burns people alive and vows to destroy America, but he’s absolutely “no direct threat” to his workplace and students. Did someone tell that to Syed Farook’s co-workers in San Bernardino? Kent State is fully cooperating with the FBI,” said University Spokesman Eric Mansfield. “As this is an ongoing investigation, we will have no further comment.” Mansfield said he could not comment on whether or not Pino would continue to teach at the university. Yes, let’s keep this guy at the university so he can recruit more ISIS terrorists and maybe kill some infidels. Yeah, that’s the ticket. Don’t violate his civil rights! Again, total BS if this guy’s still on the campus. Pino is teaching two classes this semester: History of Cuba and Central America and a senior seminar in history. Let me guess: he is totally mancrushing on the Castro Bros. He’s Cuban and a former Fulbright Scholar. So, he’s not stupid. Just evil. 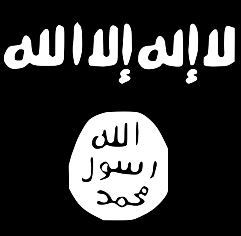 By the way, here are a few fun facts about Pino you won’t read anywhere else: he converted to Islam in June 2000 and, in the Islamic community, goes by the name Assad Jibril Pino. He called a Cuban dish made of pork, “Islamophobic.” Yes, apparently, inanimate objects can now be “Islamophobic,” according to Pino. alhamdulilah [praise allah]. Our friend, Fred Taub of Boycott Watch was an eyewitness to some of the ISIS prof’s behavior. Fred said that Pino repeatedly disrupted a pro-Israel event on the Kent State Campus featuring the Ishmael Khaldi, former Deputy Consul General at the Israel Consulate in San Francisco, who is an Arab Muslim. This guy has also disturbed pro-Israel events and speakers at Kent State, making loud BDS (Boycott, Divest from, and Sanction Israel movement) and “Apartheid” comments against Israel. I was at Kent State at the event at which Ishmael Khaldi was speaking, and he [Pino] loudly interrupted. Pino also shouted, “Death to Israel!” at the event. His behavior was so outrageous that even Kent State’s liberal then-president Lester Lefton put out a statement denouncing his behavior as “deplorable . . ., reprehensible, and an embarrassment.” What if he’d chosen to strap a bomb on and press the button? Then everyone in that room would have been dead. We’re lucky he didn’t do that. Read more about that event. Pino says he is inspired by Iran’s late Ayatollah Ruhollah Khomeini, the man who directed the takeover of the U.S Embassy in Tehran and the holding of many Americans hostage for 444 days. I hold you directly responsible for the murder of over 1,400 Palestinian children, women and elderly civilians over the past month. This is not symbolic or even legally justified homicide on your part but actual, cold-blooded, calculated killing, for which you are culpable. . . . You have chosen to openly work for and brag about academic collaboration with a regime that is the spiritual heir to Nazism. I could call you another Martin Heidegger, but that would be an insult—to Heidegger. . . .
That’s an open death threat. And it was penned and sent in August 2014. And yet the FBI says this guy isn’t a threat? Are you kidding? If he were a Christian or Jew and sent this to Muslims, I guarantee you he’d be behind bars right now, regardless of the recruitment of students to terrorism. But, as we know, there is a tip-toeing double standard for how we treat these guys who are down with the jihad. By the way, for the record, Pino isn’t the first Islamic terrorist college professor. As I noted many times over the years on this site, Islamic terrorist Sami Al-Arian was the worldwide founder and chief of Islamic Jihad and a professor of computer science at the University of South Florida (USF) at the same time that he ran the group’s operations and terrorist attacks in Israel, including a bus-bombing that murdered American college student, Alisa Flatow. Al-Arian also used his university perch to raise funds for Islamic Jihad and its terrorist operations, as well as approve the group’s planned merger with HAMAS. And even though USF removed him from teaching and banned him from setting foot on campus–because the university deemed him a danger and security threat to students, he was welcomed by the University of Michigan to speak at its Divestment (from Israel) Conference. (As an attorney hired by some concerned students, we tried to prevent him from appearing.) Al-Arian was later convicted of terrorism and was finally deported. But that was back in the days. Let’s see if anything really serious happens to this guy, Pino. Don’t hold your breath. It’s simply asinine that the FBI and the university would let this guy continue teaching and ISIS-recruiting for 1.5 years. I understand the need to furtively build a case against him. But, as I noted above, what if, one day, he decided to put on a bomb vest and blow up his students? Exit Question: since we know that Kent State has a long history of left-wing students who hate America and resort to violence to express that hatred, how many students do you think Pino successfully recruited for ISIS without FBI knowledge or before the FBI chose to publicize this investigation? When this guy flies off of the handle and starts killing peop0le, you can be sure that there will be another Gun Control pitch before the bodies cool off. Let me get this straight. This nut job has involvement with the most virulent terrorist group to date(you know the JV team) has shouted death to Israel at rallies for Israel at the college campus(aka very large gun free zone) where he works and loves the commie Castro brothers. What could possibly go wrong. Well nothing according to the morons at the Forever But Idiotic. Just you wait folks we will here about good old Julio in the news soon. Hopefully with a sharpshooters outcome if you know what I mean. I am currently a junior at kent state and will be protesting this mans tenure on Friday. Screaming “death to Israel” is not having an academic debate, and us as taxpayers are forced to pay this guys salary….Completely absurd, and somewhat terrifying. 1. Make a great HALLOWEEN COSTUME? 2. He could replace the JOLLY GREEN GIANT? 3. He has woven his garb from “MAUI WOWIE”? if he will promise to say, “DEATH TO ISRAEL!” to Netanyahu and the Mossad as well as give a lecture to the ISRAELI MILITARY. I CAN’T PROMISE HIM A RETURN TICKET THOUGH !!! PS: What kind of FOOLS attend his class and listen to his dreck (hope I spelled it correctly). Who should we have investigating the FBI? Another massacre at Kent State… When your prof is a terrorist. Proof positive of how worthless the credential ” University Professor ” is all by itself. In and of itself , it means nothing since so many demonstrable jerks, one track minds and criminals have held that title. In undergrad, graduate and even the professional schools, it frequently occurs that at least one of the kids in the gallery knows more about the subject matter being taught than the guy in front lecturing. I’d question the level and extent of education of anyone who hasn’t seen that at least once. It’s a wonderful day in the neighborhood, welcome to my neighborhood… BTW, can you say ‘workplace violence’?!? As the price of oil crashes, so will the fate of many career anti-Semites on college campuses. They have been riding the Saudi-financed gravy wagon for a long time. As the Saudis struggle to keep their home population content, the luxury of bribing American universities with billions of dollars is diminished. This may not be a short term phenomenon either. Al Jazeera was never going to be popular among Americans, but as long as oil prices were high, it could be subsidized. It is no coincidence that Al Jazeera USA recently announced that they are closing shop. Once the propaganda machine is throttled back, there’s no telling how many of these instances will come to light. So, if students wish to listen to this Professor and become his proteges, well, as Forest Gump said, “STUPID IS AS STUPID DOES”. So, all you slackers out there – TANSTAAFL RULES THE WORLD. I’m well aware of the shortage of certified welders. I bring the subject up all the time. I’m not sure what this has to do with the petro-dollar financed propaganda, but I’ll accept your compliment with gratitude. I often tell able-bodied college graduates (those having trouble finding a job) that welding and skilled trades offer competitive compensation AND an opportunity to exploit their degree. You see, when they get older and they can’t keep up with the young adults anymore, their college degree puts them first in line for project management and supervision. Thus, even a seemingly worthless college degree remains an asset because it is combined with certifications in skilled trades. No young, able-bodied college graduate has ever taken me up on the suggestion. Stupid is as stupid does. Colleges and universities have long since served their original charters. They provide little but propaganda and useless majors for less than average students. Last night,I looked up Professor Pinto’s name on Discover The Networks. They have similar information to what was presented here. Anyway you look at him,this guy is a real creep. This guy doesn’t deserve to be a professor. What he deserves is to be on a street corner somewhere passing out leaflets. That’s where he belongs. You can find Dr Piño’s cv on-line, referencing his soul-searching conversion. He mentions having received death threats for his political views. These university instructors are justifiably confident they’ll suffer little or no sanction for their terrorist sympathies of Israel hatred. Just consider the recent case of Salita, whose offer of a position at Illinois was rescinded after university officials discovered a series of statements virulently hostile toward Israel. They initially stuck by the decision not to hire him (he then took up a position in Beirut), but after he sued they settled for a ridiculously high figure. So for Salita there was no downside.